Previously, i showed how the link between hydrothermal vents and origin of life is fueled by the discovery of hyperthermophiles. In todays post. i will be showing the limitation of the Miller-Urey model and will discuss a little about how SHS can be a good site for origins (and their limitations too). Miller and Urey both designed their experiment assuming that the primitive atmosphere was reducing. This was a valid assumption at that time, and organic compounds are formed better in a reducing conditions. However, this reducing atmosphere scenario has changed, most scientist nowadays would envision a more redox neutral atmosphere. This is because there are no evidences of a reducing atmosphere documented in the rocks[1,2,3]. However, there is a small chance that a reduced atmosphere could happen for a short period of time in the presence of a meteorites impact or vapors from an erupting volcano. Also it is worth noting, because there is lack of ozone layers during those periods, UV rays could have destroyed the biomolecules in the atmosphere as soon as they are formed. All this leads that the prebiotic atmosphere is limited in the sense of origins; moreover this biomolecules needs to be protected by the UV rays ; hence a SHSs’ reducing powers and its UV cloaking ability makes them an ideal spot for origins. 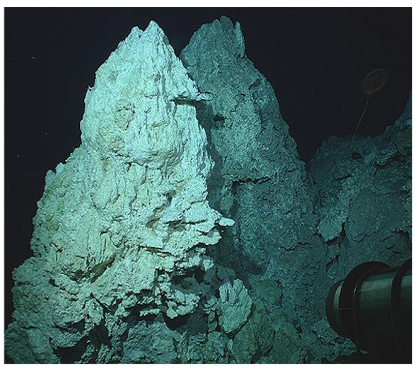 The reducing conditions in hydrothermal vents (before the discovery of Lost City Hydrothermal field) is fueled by it reduced minerals which could act as a template for various catalytic activity [6,7,8,9,10] including polymerization. SHS is also the only place that primitive life forms could have been protected during an event of meteorite shower and/or partial vaporization of the ocean. Although, SHS could well be a spot for origins, critics often cite that residence times in axial hydrothermal environments range from years to decades, ( in other word, the time spent by fluid in the hydrothermal vents is long) while those in lower temperature off-axis diffuse flow systems may be on the order of thousands of years. These residence times are impossible to model experimentally, the effects of long residence times in SHSs are not generally considered in SHS experiments. This is one of the major limitation for experiments on SHS simulation. 1. Lambert, I.B, Donnelly, T.H, Dunlop, J.S.R and Groves, D.I (1978) Stable Isotope Compositions of Early Archaean Sulphate Deposits of Probable Evaporitic and Volcanogenic Origins: Nature, v.276,p.808. 2. 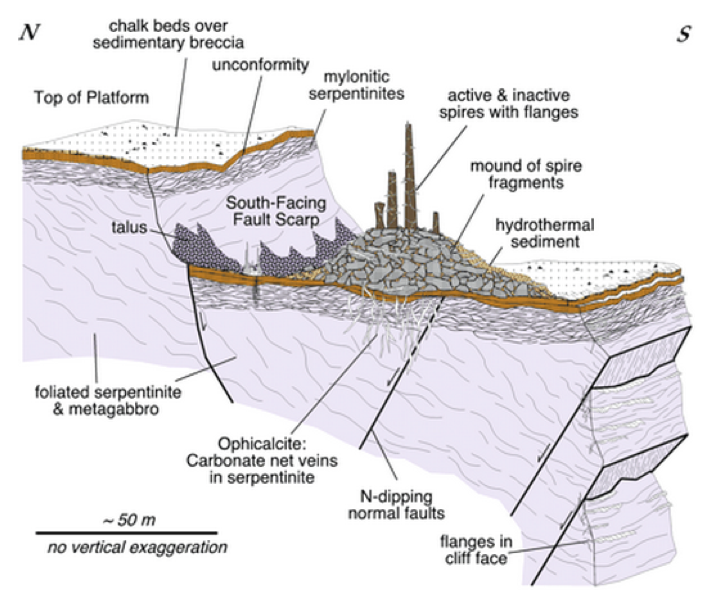 Dimroth, E and Kimberley, M.M (1976) Precambrian Atmospheric Oxygen: Evidence in the Sedimentary Distributions of Carbon, Sulfur, Uranium and Iron: Canadian Journal Earth Science, v.13,1976, pp.1161-l185. 3. Zeschke, G (1960) Transportation of Uraninite in the Indus River, Pakistan: Geological Society of South Africa v.63, p.87. 4. Johnson, A. P, Cleaves, H. J, Dworkin, J. P, Glavin, D. P, Lazcano, A and Bada, J. L. (2008). The Miller volcanic spark discharge experiment. Science, 322(5900), 404–404. 5. Sleep, N. H, Zahnle, K. J, Kasting, L F and Morowitz, H.J (1989) Annihilation of ecosystems by large asteroid impacts on the early Earth, Nature 342, 139-142. 6. Wachtershauser, G (1988) Before enzymes and templates: Theory of surface metabolism, Microbiology Review. 52, 452-484. 7. Wachtershauser, G (1988) Pyrite formation, the first energy source for life: A hypothesis, Systematic and Applied Microbiology 10, 207-210.